Deborah Fallows has spent much of her life learning languages and traveling around the world. But nothing prepared her for the surprises of learning Mandarin, China's most common language, or the intensity of living in Shanghai and Beijing. Over time, she realized that her struggles and triumphs in studying the language of her adopted home provided small clues to deciphering the behavior and habits of its people,and its culture's conundrums. As her skill with Mandarin increased, bits of the language—a word, a phrase, an oddity of grammar—became windows into understanding romance, humor, protocol, relationships, and the overflowing humanity of modern China. Fallows learned, for example, that the abrupt, blunt way of speaking that Chinese people sometimes use isn't rudeness, but is, in fact, a way to acknowledge and honor the closeness between two friends. She learned that English speakers' trouble with hearing or saying tones—the variations in inflection that can change a word's meaning—is matched by Chinese speakers' inability not to hear tones, or to even take a guess at understanding what might have been meant when foreigners misuse them. 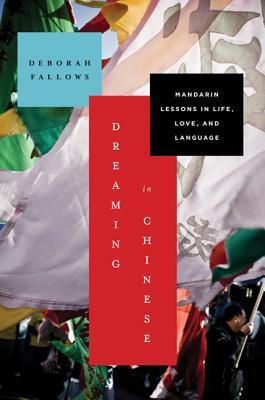 In sharing what she discovered about Mandarin, and how those discoveries helped her understand a culture that had at first seemed impenetrable, Deborah Fallows's Dreaming in Chinese opens up China to Westerners more completely, perhaps, than it has ever been before. Deborah Fallows has lived in Shanghai and Beijing and traveled throughout China for three years with her husband, writer James Fallows. She is a Harvard graduate and has a PhD in Linguistics, and is author of A Mother's Work (Houghton Mifflin). She most recently worked in research and polling for the Pew Internet Project and in data architecture for Oxygen Media. When in the US, she and her husband live in Washington, DC. They have two sons and two daughters-in-law.